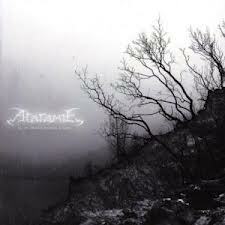 The first full-length by Ataraxie is a true classic of extreme Death Doom that no lover of the genre should miss. Allow me to start this review with a little anecdote: in early 2006, I was on a vacation in a small town by the Dutch North Sea coast. I combined this vacation with an evening trip to Haarlem to attend a Doom concert featuring, among others, Officium Triste and Ataraxie. Slow Transcending Agony had just been released in 2005 and apart from a few very promising samples, I hadn’t heard it yet, but the band’s name was familiar due to their demo of which I knew a couple of solid tracks. Those early tracks really couldn’t prepare me for the incredibly intense sonic attack I was about to witness! 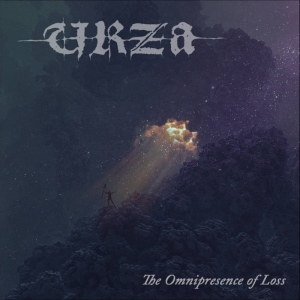 The ultra-slow, beyond heavy, yet often melodic and emotionally deep Death Doom riffs soon enveloped me so I was totally absorbed by the music. Despite the fact that I wasn’t familiar with the songs, the structures had such a natural flow that they were easy to follow and allowed for immediate accessibility without seeming superficial at all. The band presented one extremely touching moment after the other, including outbursts of desperate blastbeat frenzy, and I can still remember my utter astonishment the moment I first heard Jonathan Théry’s anguished shrieks in the song “L’Ataraxie”. After the concert, some stranger came up to me, seemingly in need to share his enthusiasm about how “awesome” the concert had been, and he proudly showed me the copy of the album he had just purchased. I asked him where the CDs were being sold since I could only concur with his impression: it was one of the most emotional and indeed awesome live performances I had ever witnessed, and the CD had to be bought right away. This experience is almost exactly eight years ago today, and my memory of it is still vivid. If you haven’t heard the album yet, you may wonder whether the recorded versions of the songs could live up to the stellar expectations I had from the concert – well, the answer is a clear yes! Even today I consider Slow Transcending Agony one of the finest examples of post-2000 Death Doom and a true classic I still revisit on a regular basis (pun intended). Come to think of it, one might get a bit nostalgic, for 2005 was such a great year in Extreme Doom with seminal releases by other great acts, above all Evoken and Mournful Congregation – albums that are unforgettable to this day. But back to Ataraxie: what makes their debut full-length so special? They certainly didn’t bring anything new to the Death Doom table. Strictly speaking, their style is very orthodox and straightforward. But maybe this is exactly its strength, for it brings the essence of the genre to the point, and it does so with an ease and effectiveness that has rarely been heard throughout the scene’s history. Every riff or forlorn-sounding clean guitar interlude is right where it belongs, the number of repetitions is just right to let the atmosphere of utter desolation unfold itself without becoming long-winded, the lyrics and their rendering are in perfect unison with the musical mood, and the arrangements exploit the emotional potential of the songs to make the listener anticipate and enjoy every single passage. Such density throughout an entire album is indeed rare, and while it is impeccable qualitatively and makes sure the music never drags on, it is also not the easiest listening experience to stomach: the whole thing may very well be just a tad too extreme for those who love their Doom romantic and/or atmospheric. 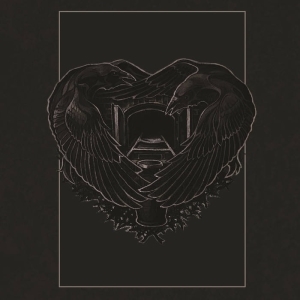 For each and every note on this excellent album is uncompromisingly bleak, the depression rolls over you without respite, supported by a powerful, crushing production. Thanks to the fantastic photographs of grey, wintry landscapes printed on the cover and inside the booklet, the experience appeals to several senses at the same time. And if you understand some French, there is a handful of lyrical passages in the band’s mother tongue that fit the stylistic framework surprisingly well, making the melancholy seem all the more credible. In sum, I have to reiterate that Slow Transcending Agony is a true classic, an essential album that all fans of extreme Death Doom should have in their collection. 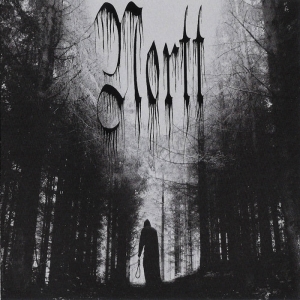 The best thing is, you won’t have to wait for the intensity to unfold itself, for the album starts off with what is likely to be one of the darkest and most awesome instrumentals ever composed in Doom Metal, allowing you to “Step into the Gloom” (an apt title indeed!) and be enveloped by it right from the start. And if you ever have the chance to see this band live, go for it! You can get an idea of the live experience on the fantastic DVD Chronicles of Doom (Camisole / Weird Truth, 2009), filmed at the Dutch Doom Days in Rotterdam in 2006. Ataraxie are featured with one of their most compelling songs, “Another Day of Despondency” – a musical trip you won’t forget.